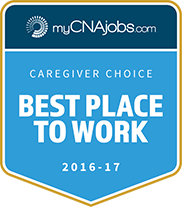 We appreciate and value our home care field employees! Every month we spotlight them as Angels Who Soar. 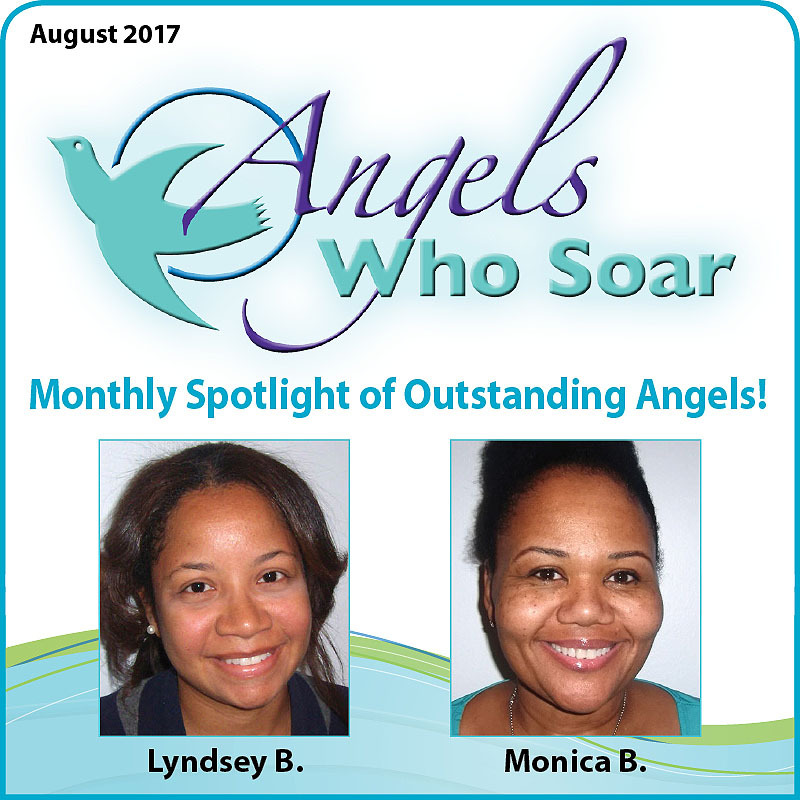 This August, we are highlighting Lyndsey B. and Monica B.
Lyndsey B. recently celebrated her 2-year anniversary with Visiting Angels. We so appreciate her loyalty to both our company and to our clients. 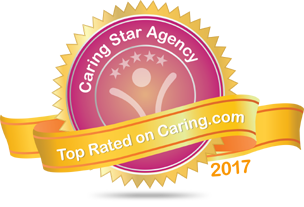 She’s a very compassionate aide and goes out of her way to make sure every client is well taken care of! Monica B. is well-liked by every client she services. She’s always willing to help the Care Management Team and accepts additional assignments with very short notice. We especially love that she always has a big smile on her face! She recently started service with a client; the client quickly gave feedback that he likes her very much and believes it will be a long-term association! Congratulations and many thanks to Lyndsey and Monica! See a list of other outstanding Angels Who Soar.